In a bid to uphold the model building bye-laws of 2016, Credai NCR has started encouraging builders to include the best practices while designing their projects; especially the ones related to the provisions for creating a barrier-free environment for the differently-abled and the elderly. "We encourage all builders to adapt the green building norms; especially the ones pertaining to the inclusion of the differently-abled. The green certification needs a set of conditions to be met. Adapting structures to suit the needs of the differently-abled is one such norm," Manoj Gaur, president of Credai NCR, said. The need for inclusion of features like ramps and Braille in modern apartments is increasingly felt by citizens. Home buyers also express a need for making the high-rises age sustainable. Real estate expert Jones Lang Lasalle (JLL) shared a set of practices to influence builders across the country to include the model building bye-laws of 2016. Few of the points highlighted by JLL includes the provision of parking on the ground floor, motorised wheelchairs for ease with ramps, hand rails, easy signage for the visually impaired, elevators with hand rails, easily accessible switches, special toilets, faster lift door opening time, adequate sitting area for the elderly, evacuation route and refuge provisions. Building bye-laws are legal tools used to regulate architectural design and construction factors of buildings to achieve orderly development. They are essentially mandatory, and are meant to protect buildings against earthquakes, fire, noise, structural failures and other hazards. Piyush Gandhi, National Director, Project & Development Services, JLL India, illustrates, "Do the current construction norms require real estate developers to make specific provisions for the differently-abled, disabled and senior citizens? They do but in many areas of the Indian real estate industry, sufficient implementation lags behind the on-paper regulations. The Model Building Bye-Laws 2016 (Chapter 8), IS Code 4963, CPWD guidelines give a detailed design and plan to provide a barrier-free environment for the differently-abled and elderly. In fact, they have a dedicated chapter on design provisions to be incorporated in any building which modern builders can use while designing their projects. 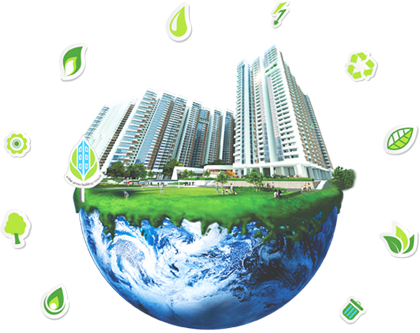 "The future of construction and building lies in sustainability. Builders automatically get the benefit of increased floor area ratio (FAR) when they adhere to green norms. While most builders already need to meet over 50% norms to gain the environment clearance, we now encourage them to introduce a couple of more differentiators to be completely green certified by special agencies," Gaur added.